The Best Job in the World is the story of how following your passions can lead to life-changing opportunities. Adventurer Ben Southall shares his experiences and lessons learned as the winner of the inaugural Tourism Queensland's Best Job in the World campaign, and reveals how this has led to ongoing opportunities since. Part autobiography, part insight into the power of a unique marketing campaign, this book follows Ben's journey—from leaving the UK on his own expedition around Africa to his new role as caretaker of Hamilton Island on the Great Barrier Reef. You'll learn about the skills and experiences that shaped Ben's path, together with the inevitable pitfalls that he faced along the way to living his dream. In The Best Job in the World, Ben Southall answers the questions everyone is asking: "What is it like? 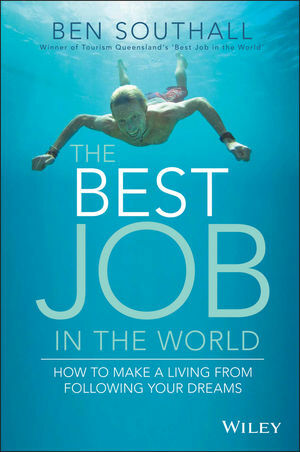 Is it really the best job in the world?" You'll learn how to transform your interests and passions into a flexible, long-term career, and how following the road less travelled can lead to living your best life. If you're dissatisfied, stuck in a rut or merely curious, The Best Job in the World is a must-read tale of aspiration, inspiration and motivation. BEN SOUTHALL beat nearly 35000 candidates to win Tourism Queensland's 2009 Best Job in the World campaign. He now combines his passions for travel, adventure and journalism, living his ideal life.